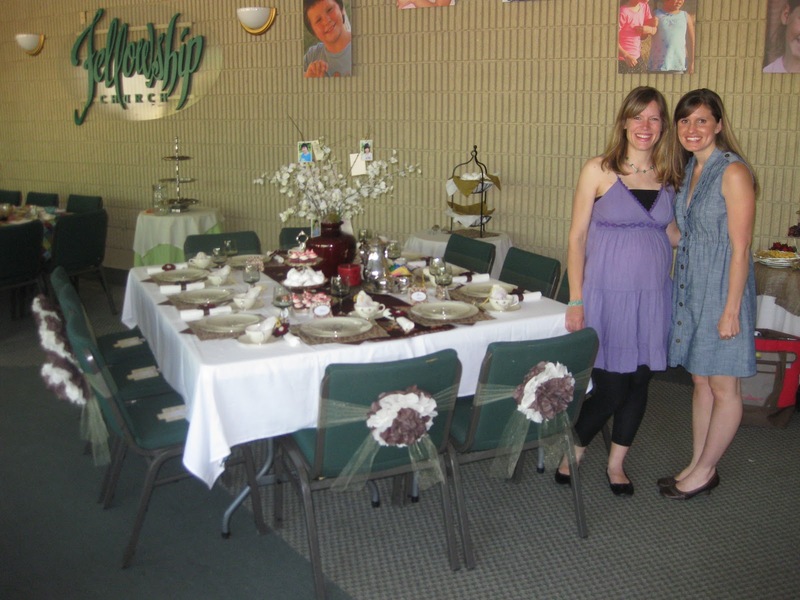 Our church holds their Women’s Tea every spring, and my friend Angela and I have been hosting a table together the past three years–we love it! I especially love to be able to create something beautiful and delicious–to take part in one aspect of God’s character. What a blessing and honor that He allows us to be a little like Him in that way! I was the most excited this year, though, because our friends could actually join us. The past two years, we’ve mostly had strangers at our table, and there’s usually very few women our age at the Tea at all. 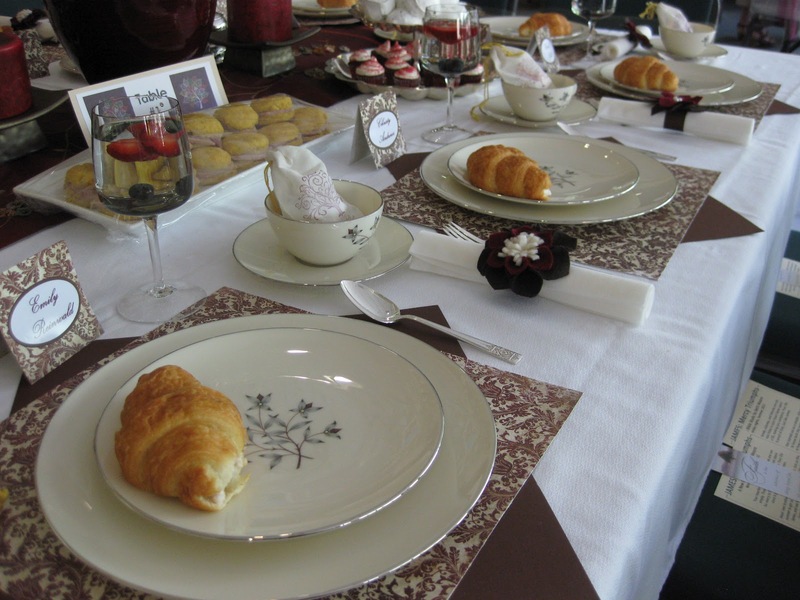 Of course, we’ve loved being able to provide a table for those who want to go to the Tea, whether they’re our friends or not, but there’s something especially fun about enjoying the dainties with people we know and love. Angela outdid herself this year with great ideas for decorating the table. 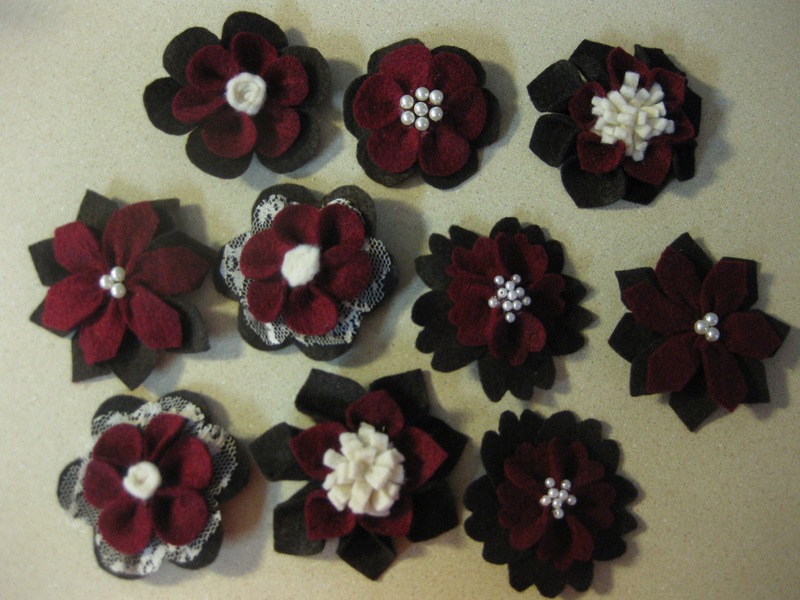 She thought of making these felt flower clips to give as gifts to the women. I’d been wanting to try making these flowers for a long time, so this was the perfect opportunity. We attached the flowers to a paper napkin ring, so they were a decoration, as well. We had 10 people at our table this year, more than before, and I only had 8 placemats, so we made our own placemats out of two sheets of scrapbook paper–it was Angela’s idea to use two pieces, and I loved the way they turned out! She also made the name tents out of the same paper, and it was her idea to make the tissue paper flowers for the backs of the chairs. Of course we had to have a variety of delicious treats to eat. 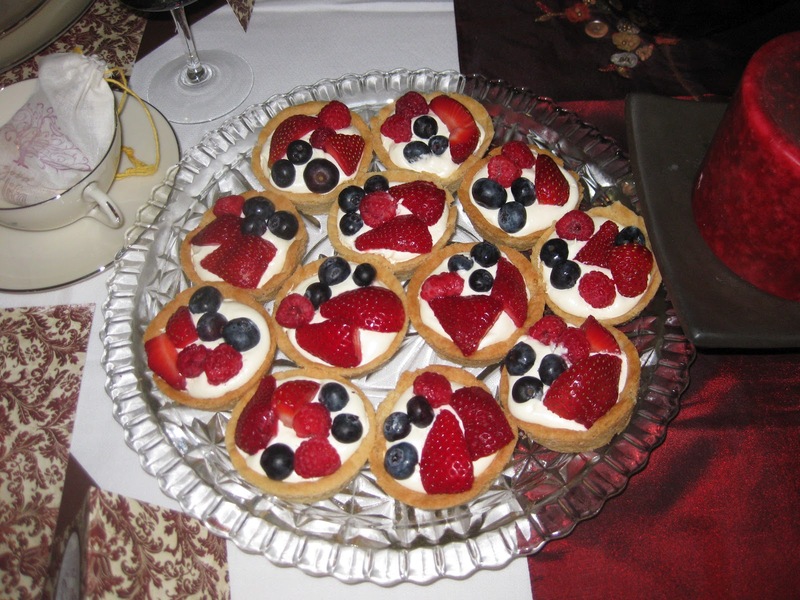 I bought chicken salad to fill croissants, and we made chocolate mousse pie, cream pudding and fruit filled cookie cups (below), chocolate chip meringues, mini cupcakes, and salad, and two wonderful ladies at our table brought two kinds of delicious little tea sandwiches. I wish I had had time to make scones, but other than that, it was just the right amount of food! 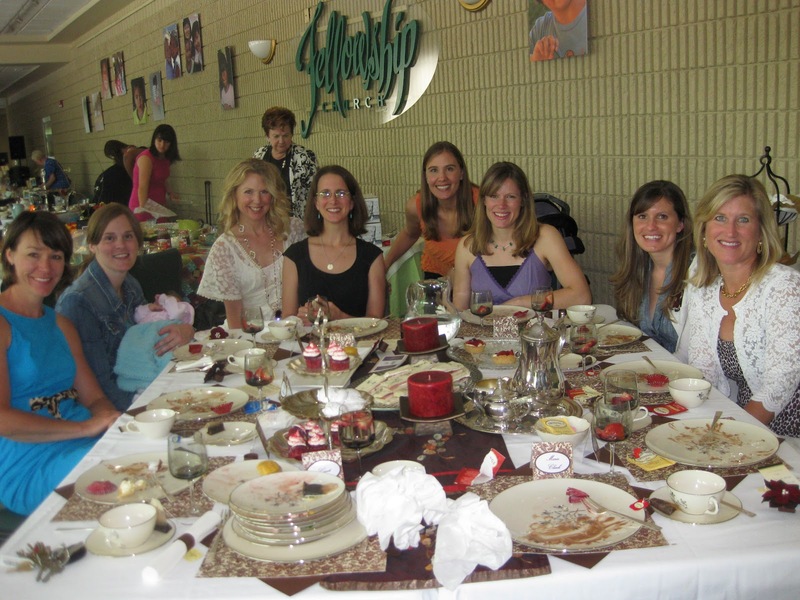 The best part of the Tea was that the theme was Opportunitea–all about helping orphans and vulnerable children. The speakers had amazing stories of what God has done in their lives to help these children. I don’t even like tea, but it would take something pretty big to make me miss this Tea each year!